I use a ColoredTreeCellRender to render a Tree. Now I would like to change the background color of one of its elements. I tried to use the setBackground() method, but it does change nothing, that I see. I also experimented with the opaque. The SimpleTextAttributes object you pass as a parameter to the append() method has a bgColor attribute. Please make sure that you're setting it correctly. 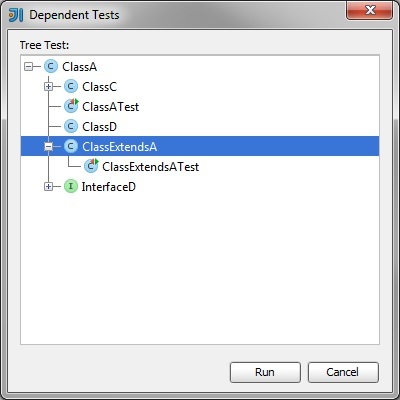 The PsiClasses that are marked with the JUnit marker should be highlighted with a green background.